So yesterday was a bit scary. As you may or may not know, I work in a county government office that is housed inside of a courthouse. I do not work for the courts, I just work in the courthouse. Our building has security that every non-employee has to go through before being allowed into the building. 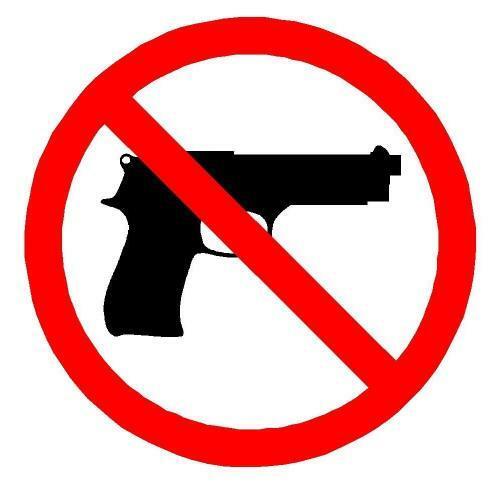 Any guns, knives or other dangerous objects are confiscated. I work on the third floor of an 11 story building. My desk sits in the hallway so that I can help direct all the lost souls and make sure they get where they need to go. The main reason I get so many lost people on my floor is that the city courthouse across the street has courtrooms on the 3rd floor over there. So I'm very exposed to anything that might happen. Yesterday I was at my desk helping an employee set up a package for FedEx when all of a sudden a member of the Sheriff's office come dashing up to my desk from down the hallway. "We have word of a man with a gun in the courthouse. Everyone needs to stay in their offices" This said with his arms waiving directing me to take cover in the back part of the office so that I'm not out in the open. I direct the person I was helping to shut the 2 large doors that are always propped open and lead into the back offices while I went through a conference room to warn the people in there not to come out except through the back exit. After doing that and telling the others in the office to stay put, I realized the employee that I had been helping hadn't stayed in the office and I couldn't figure out where he went. I couldn't leave so I just hopped he had gone to another office to hang out. So we hung out for about 20 minutes until my boss came to me and asked how we were supposed to know when it was all clear. I told him I had no idea and then we heard the elevator ding. So we worked our way over to the conference where our only window the the hallway is and peaked out to see a lady getting ready to go into the office across the hall. So we stepped out and asked her how she got in the building. She said the police were still all outside and told her what was going on, but that they were still letting people into the building. My boss decided that since they are letting people in that the threat must be over so he headed down stairs to check with security and I started opening the office back up. He came back a few minutes later and said we were all clear. I found out after that that the employee I had been helping closed the doors then went down the hall to sit in the Sheriff's patrol office that is there. Not a big deal, just wish he had told me. Scary but everything turned out ok. They caught the guy at the city courthouse across the street. (I told you people get them confused right?) He was where he was supposed to be, but the person calling in the 911 call I guess didn't know there is more than one courthouse. So that was my afternoon yesterday.